The first estimates of Q4 GDP in the U.S. are just released which shows a nominal GDP growth of 3.70% compared to Q4 2013. 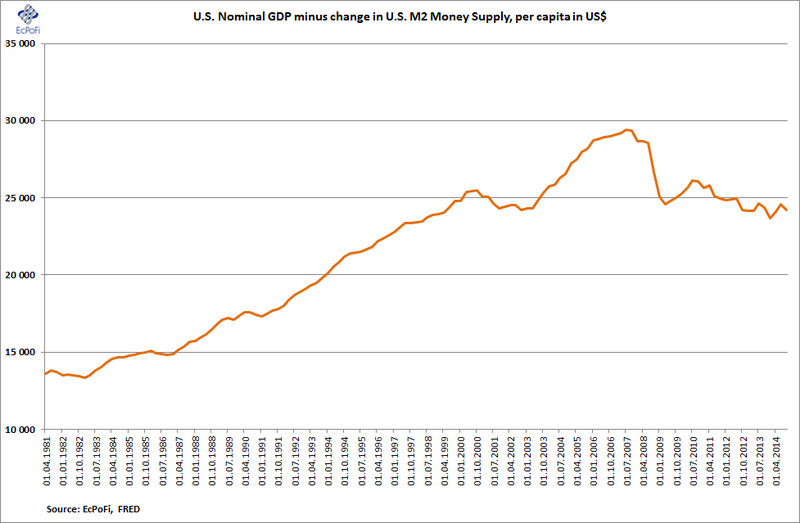 Not much to celebrate as the money supply (M2) increased by 5.69% during the same period. Incorporating the population growth as well, the money supply adjusted GDP per head remains lower than it was some 15 years ago. No real growth in GDP per head therefore since 1999. The stock market on the other, well, that's a different story as it has been outpacing both nominal GDP growth and money supply growth for quite some time. 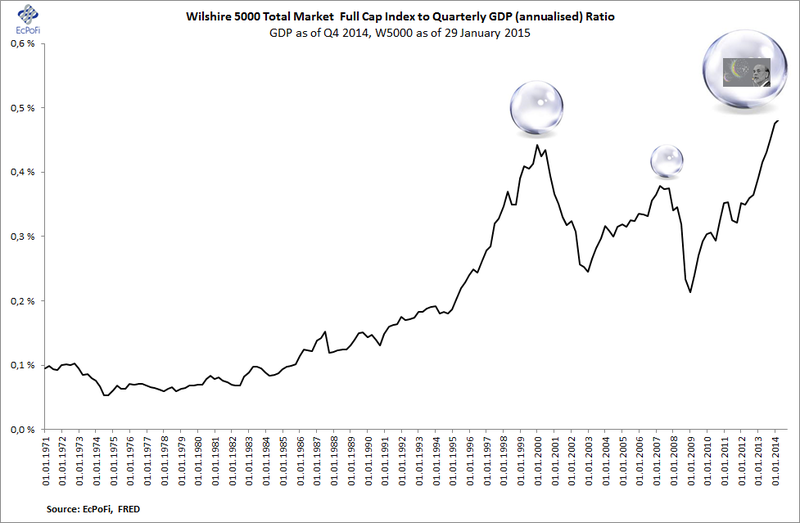 As a result, the stock market to GDP ratio below has never been higher. At least QE helped fuel something.